My time in the desert is nearly up! Being the temporary keeper of this land has been a magical and rewarding experience. Living off grid like this changed the way I look at a lot of things, and I’m thankful for the life altering lessons I’ve learned out here. This has been such an inspiring place to live! I am going to miss those beautiful sunsets that show up every night and the ever changing weather that rides in on the voices of the wind. 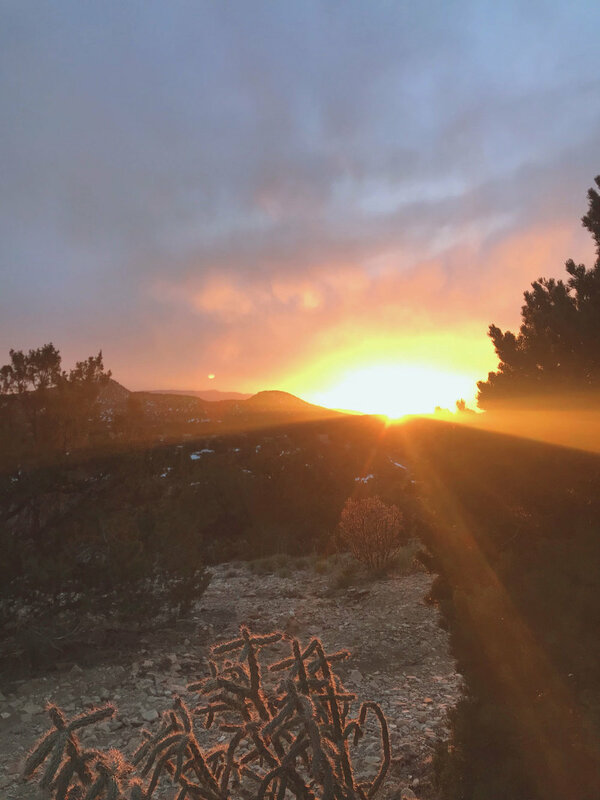 I have loved living in a place where the pine trees and the cactus mix… I’ve loved the feeling of both solitude and community that this area has provided me with. From the mountainous views as far as the eye can see… to the oddly shaped roots and branches that beg for stories to be told about them... I’ll miss it all. But I’m thankful for all the beauty I’ve seen, the photos I’ve taken, the adventures I’ve been on, and desert treasures I’ve found along the way. This truly has been a magical place! I have a particular talent in finding the numinous. I’ve been living in remote locations for about 4 years now and I don’t think I’ll ever be able to live in a city again! 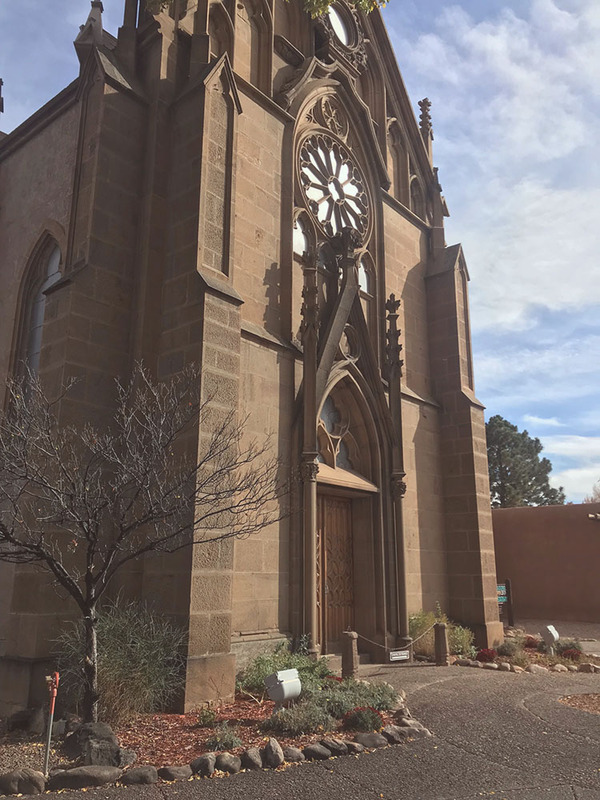 Don’t get me wrong, Santa Fe is one of the most inspiring and beautiful cities I’ve ever been to, but I love to plan my trips into town! Especially when the drive is beautiful. Being about an hour or so from Santa fe and other surrounding cities means it’s vital to plan ahead and make lists of the things I need. 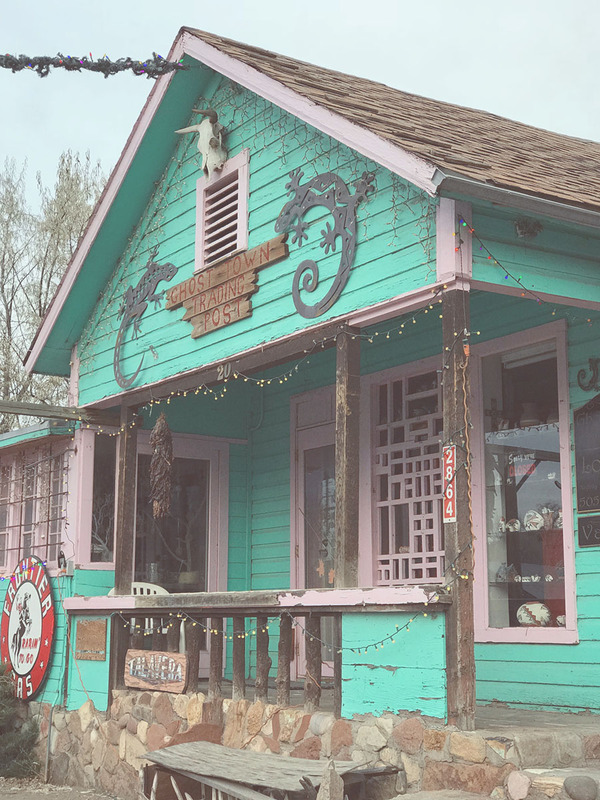 Because I leave the cob house so rarely, I also have to include day trips and adventures into my normal in town errands if I’m going to explore the area at all. 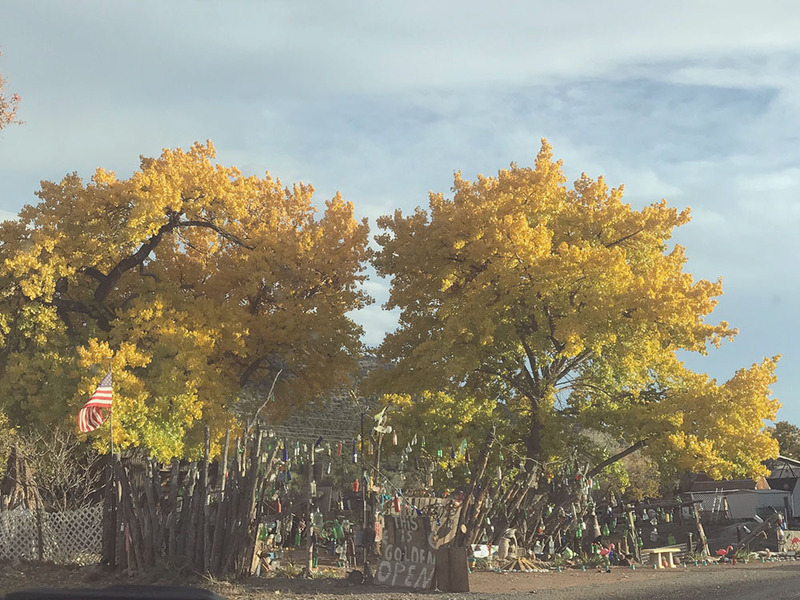 Santa Fe has been my favorite city to visit and live near... so far. 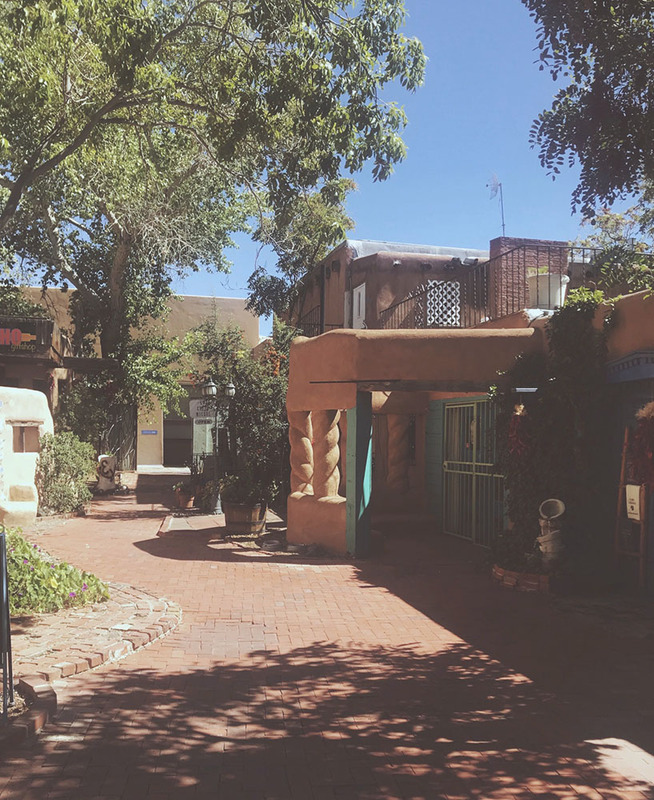 Exploring the history of Old Town Santa Fe as well as the other fun small artsy towns always provided me fresh inspiration and awe. I still have a month or so left here and a little list of all the things I want to do before I head off to my new home. So far, my list includes the Georgia O’Keeffe museum and Meow Wolf both in Santa Fe! Santa Fe has been a great city for me… but I think I am going to miss the little town of Madrid the most. This has been one of my favorite places ever. It’s about 20 minutes from my house and the town I drive through to get into town town. (You know, the kind with a gas station.) At first it was weird they didn’t even have a gas station, but after a short while, I learned to love how remote (and strange) this little town is. It wasn’t long before I started to get to know everyone by name at the coffee shop and post office. It’s such a fun and unique artist town.. I really am going to find it hard to say goodbye to this place. Hopefully I’ll get to come visit in the airstream one day. I’m not entirely sure what is next for me… but I hope it involves pine trees and mountain views. I’ve been house hunting for the last few months, and I have faith the perfect opportunity will work out. Living here in the desert for the last year and a half has been such a blessing despite some of the challenges I’ve had to face. I’ve had to put a lot of projects and ideas on hold while I’ve been here so that I can process and heal, but I am hoping my next place will have adequate land for my airstream so I can finally get her up and running. I also want to get back to that oracle deck I started a while ago! As well as a few other projects I’ve had on the back burner. I don’t like to put creative projects on hold, even though sometimes it just has to happen. This last year, I’ve been mostly working in my art journal. I make myself a new one for my birthday each year, and last year I made myself a very thick book. I’m determined to fill in each page in with either art, poetry, writing or dream journaling. It’s been really healing to focus on my journal for a little bit instead of put expectations on myself with large paintings. Since it’s a pretty big journal, I can still scan in work and make it available for patrons, or put it in the shop! 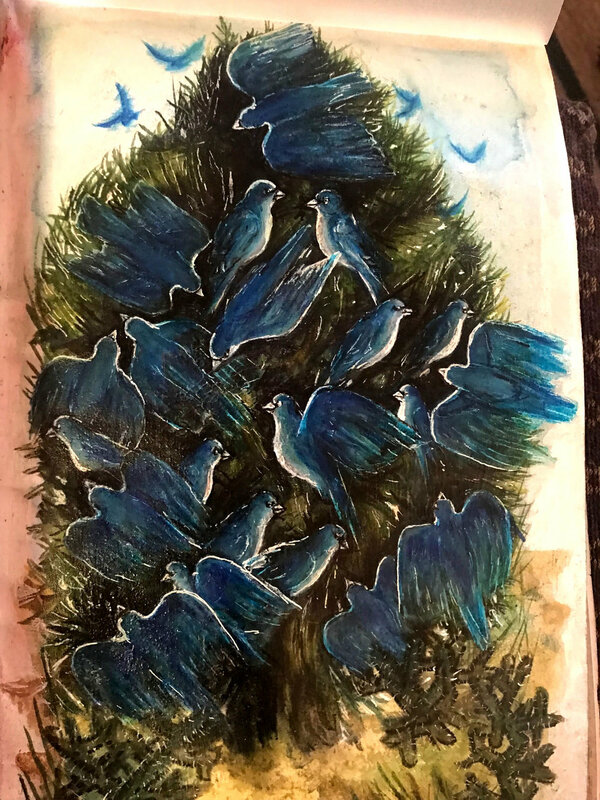 This is my second year art journaling in a journal made by my own two hands… and it really does hold so much extra magick! My art journal is my place for both therapy and experimentation, but not much of the journal would make much sense without an explanation from me… luckily I do go into quite a bit of depth and detail behind the meanings of the ones I show, over on my patreon! Sometimes, my patrons even get art prints or mini-originals that match some of my private journals! I LOVE sending things in the mail… and I’m thankful Patreon gives me the opportunity to send out surprises to my patrons! I love that Patreon gives me the ability to connect with people on a more personal and even private level. I blog over at the private patreon blog pretty often. They get to hear about my random ideas and project ideas as well as the deeper meanings of some of my work. They are also the first to hear news and get updates from me. The support of my patrons and blog followers is so important and appreciated! My art journal is great for relieving stress and anxiety, especially about this upcoming move… but having my circle of support is more helpful than many realize! I’m hoping that the great house hunt will be over soon so that I can start to direct my energy towards creating the new home and other creative ventures. I can’t wait to share my future plans with you soon! Keep your fingers crossed for me and send some good energy my way that I can align myself with the perfect opportunity. I’m ready to put down roots and not move again for a LONG time. I can’t afford land of my own yet, but I am hopeful I can find some land and a cabin for rent that will be as inspiring and magical as where I am at now. I'm so thankful for this summer sun.. beating down on me, kissing my shoulders, leaving trails of freckles. I've never been one to tan. I get gifted freckles every summer instead. It's been a busy summer. As most summers typically are. It's never healthy to stay inside and work, so I take little walks with the dogs every day. I wanted to share some glimpses of the summer up here, since it will most likely be my last. The majority of my photos are on instagram, but these one haven't been shared there quite yet. The cabin can get hot up here. Being this high elevation makes for very cold winters and very hot summers. It took a bit of getting used to, but life without an AC isn't so bad once you learn a few tricks. During the winter months, I took Vitamin D supplements at night to help stave off the seasonal side of depression. But in the summer, the sun is back and always ready to offer therapy. Living on this mountain, so close to nature and her cycles and seasons has been beautiful and life changing. I have so much more appreciation for the normally-unnoticed gifts nature has to offer. There is so much more to experience out there than the 5 senses can show us. The subtle smells and whispers that creep in with the wind.. the breeze that mixes with the trees.. and the songs of constant transformation heard from the woods. The trees in the spring truly do sing after awakening from the eerie silent slumber of winter. The trees in autumn cackle and clatter after enjoying their time in the blessed summer sun. It may not be a new appreciation but it's much deeper now. On the summer weekends when it's not too hot, we work on Stella. We've gotten quite far, and I have an update post on the way. 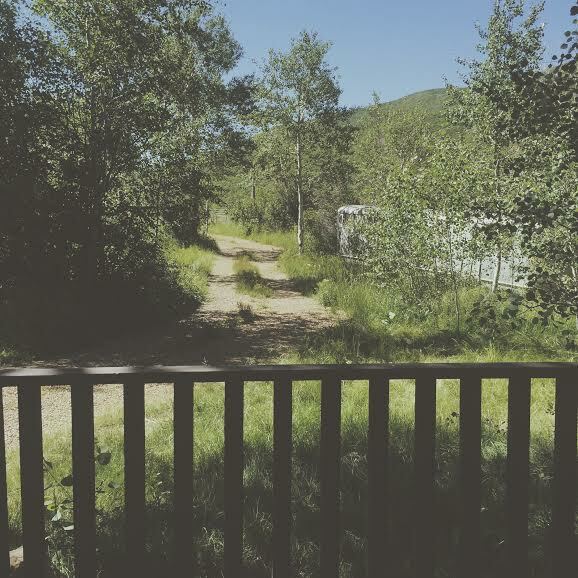 There is so much to do here at the cabin during these summer months, it can feel overwhelming. Change is already in the air. I can already sense the autumn winds coming in. Unnerving and beautiful all at the same time. I can't believe it's already the Summer! Time has really been flying by.. Like we only have a few more months to get our fire wood for the next winter. In fact, thats a lot of what our weekends are spent on. This weekend we dug the foundation for our new shed, built a saw-horse and chopped our wood for next winter. We have a lot of dead wood that we need to get chopped up. It's been a bit of a rough go on the Ruby situation.. Turns out the rebuild process of a vintage trailer takes some extra tools and parts that aren't too easily available, or are just plain expensive. We have a few things to work with, but will need metal for C-channels, metal cutters, a rivet gun.. But I think I've got a genius idea to use some of the C-channel that came with the shed in the trailer.. and just build the shed out of wood! We were given a really old shed from the landlords. It's missing some key pieces... But I think I can replace a lot of them with wood, and use the left over metal for the Trailer. It's been nice just having the trailer here though. Once the truck is up and running again I hope we can pick up some metal. It really has been so beautiful out here. I've been bringing a lot of my art work outside. I've got a really nice traveling art set up that I want to show you. Even though I haven't felt "in the studio" much... I have been creating. I've just added 4 new prints to the art shop! I've been having a lot of fun with my watercolor pencils and crayons. It feels really good to color and scribble in crayon and then go and paint the details in with water. I'm off to sit on the back porch and watch the sunset while playing with my new favorite paints!